The popularity of any software can be guessed from the number of hacks that trail it after a release. Or the number of add-ons. 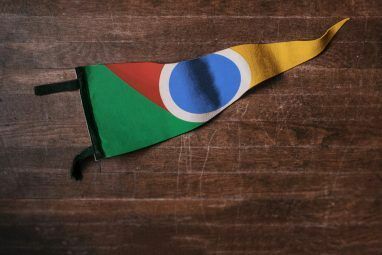 Google Chrome seems to be not only holding its own but also trotting along. As of April 2009, it is the world’s fourth most popular browser. Not bad for a browser which is few months away from its first birthday. As user opinions sally back and forth about browser preferences, one thing is not open to question. Firefox is definitely more expandable and customizable than all others out there (Don’t they call it the Swiss Army knife for the web). But if you like the Chrome’s agility then there are ways to make it more versatile. We at MakeUseOf.com have gone over quite a lot of ground with the Chrome. You can read about some tips and tricks here 7 Useful Hacks To Improve Your Google Chrome Experience 7 Useful Hacks To Improve Your Google Chrome Experience Read More and here How to Start Google Chrome in Incognito Mode by Default How to Start Google Chrome in Incognito Mode by Default Read More . By default, Chrome is a multi-process browser. Yawn! What’s that? Simply, it means that each tab runs as a separate process asking for separate resources from the computer. The current working tab gets the most priority over the others. This was intentionally designed to make web apps run faster in Chrome. This feature makes the browser zippier and more stable even with multiple open tabs. This is an offshoot of Google Chrome’s multi-process nature which allows each tab to run separate from the other. This allows us to manage, reload or shut down each tab without affecting the rest of our browsing. All this can be done through the Task Manager. Press Shift and Escape to start the task manager or right click on the blue top bar. An unresponsive tab can be shut down without bringing down the browser by a simple press of the End process button. There is a simple way to tell which browser is using the most resources on your computer. Chrome’s task manager lets you examine the memory use of the opened browsers on your computer irrespective of make. Open task manager and click on the ‘Stats for nerds’ link at the bottom. 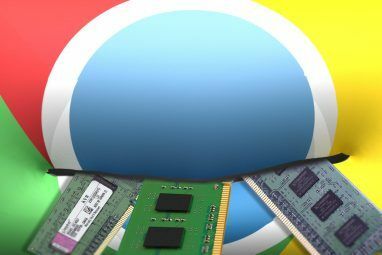 A new tab opens with detailed memory info for all running browsers. The second part of the page also describes Chrome’s process usage stats. More for site administrators than for you and me but the resources page has a ton of info to offer. To track the resources used by a web page – right click inside the page. Select Inspect element – go to the Resources tab and reload the web page. You can view a list of images, scripts and objects from the web page and you can sort them by size or by loading time. Do you feel that the size of a text box on any website is not worthy of your thoughts”¦then just place your mouse on the bottom right edge and drag to increase the size. Give MakeUseOf.com’s comment box the first drag. On launch, Chrome opens up with the “˜Most visited’ area. But it also lets us set options for starting the day by opening our most favored sites in several tabs at once. Click on the wrench icon (Customize and control Chrome) on the top right corner. Under Options – Basic tab we can add the pages we want to open on startup. On average I save almost a whopping 100MB of memory using the --process-per-site switch instead of the --single-process switch (I'm using Chrome 3.0.193.2). 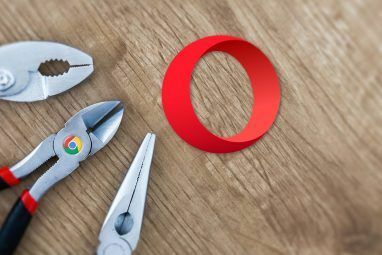 Unfortunately, Opera is still the browser to use if you are trying to shun the mouse. WHY NOT add keyboard shortcuts to all menu options and right-click context menus?? Why not add the Opera speed dial function that lets me get to a website by simply pressing Ctrl-1 ... Ctrl-9 even if that site isn't open yet. Please get to work, Google Chrome. Otherwise: great browser. Agreed, but resizing text boxes has been on Safari for a while. Biggest improvement needed? Adblock Plus! Haha! I disagree about running Chrome in a single process to save RAM. Sure, it works in the short-term, but it loses in the long-term. One of the biggest advantages of the multi-process approach is that when a tab/process is closed, *ALL* memory associated with that tab is freed. With everything running in a single process, the RAM usage will slowly bloat ever larger as RAM is incompletely freed due to fragmentation. So, in the long run, the default multi-process mode will save the most memory. Great tips...Very useful for Google chrome lovers. re tip 1: I thought that isolating the processes was also a security feature, so is disabling it a good idea? You can drag tabs out of Chrome to create new windows, and drag windows into each other to create multiple tabs in one window. You can also drag tabs from Firefox to Chrome. I typically use Chrome for browsing, but use Firefox when I'm doing web development, because of its many tools that are handy for developers. This makes it easy to switch between the two. why would someone download a script for number 6 when you can jsut simply drag the tab to the right or left, and it will show the pages side by side! For all those who cant make the chrome run under one single process based on this article can follow my idea here..
the dash given here on this page doesnt work if you copy and paste. next step would be not to copy paste the "-single-proces" from here and paste... it wont work..
type in , dont copy.! !